14K nugget style US $10 Gold Piece, 22K solid gold coin, .25 troy ounces of pure gold. 20 inch s-link chain of 14k solid gold. 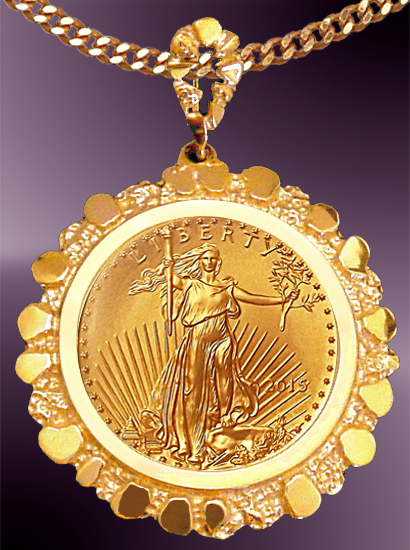 This classic 14K nugget style mounting gives the genuine US $10 Gold Eagle a very natural look. 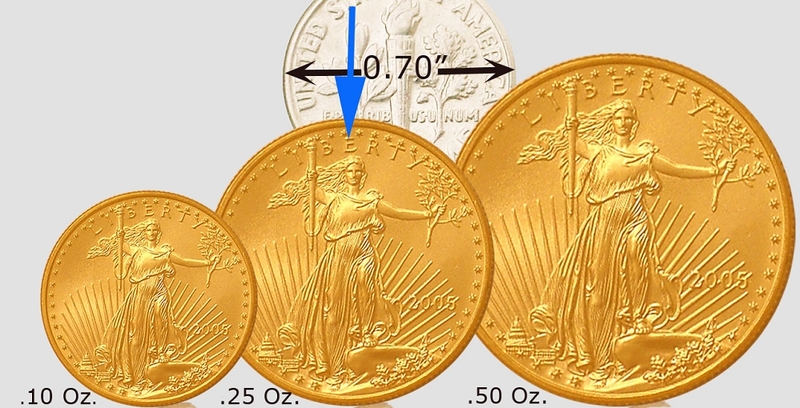 The coin is (22 mm diameter) 22K solid gold with a content of .25 troy ounces of pure gold. The mount is solid cast 14K gold. Optional Aurista's exclusive LensCote polymer to protect the coin into the next millennium. Included is a 20 inch s-link chain of 14K solid gold with a diameter of 2.1 mm and a weight of 7 grams.